Leckie: Lieutenants Log, Entry 13: The New Arrival. Detective Connis: (forcibly and urgently) Sneela role? Sneela? Saffron: Would you give a girl a minute to get herself together? Detective Urswin: (gently inquiring) Heva, va? Saffron: That ought to do it. Detective Connis: Finally, the translating software is working! Good job, lieutenant. Leckie: Detective Connis, my software has not finished detecting our guest’s language. Saffron: Software nothing, that was my perfectly executed translation spell. Detective Urswin: You were... able to translate what I’m saying by spelling it out? Saffron: Not spelling , a spell ! You know, abra cadabra.. hocus pocus.. bippity boppity? Detective Connis: Lieutenant Leckie, I think it’s on the fritz again. Leckie: As I have previously stated, my software is not functioning at all. Saffron: It’s not the softw- ugh, never mind, I’m going to try to find someone with some common sense to talk to. Saffron: Hello? Stars? Can you hear me? HEY, do you know Cassie? Can you call her for me? Detective Urswin: Who is Cas-E? Can she be contacted for this interrogation? Saffron: You don’t know Cassie? The wishing star the almost single handedly brought down the corset? I mean, I think she had a hand in inventing stiletto heels too, but I guess it all balances out. She doesn’t really understand that non-flying people need to put weight on their feet. Detective Connis: What is she going on about? Saffron: Why are the stars so rude here? Detective Urswin: Perhaps we’d better call the captain, yes? Leckie: Captain, would you please make your way to the interrogation room? Certain issues have arisen that require your attention. Captain Adam: Greetings Crew. Glorious day, isn’t it? Stars shining. Dashboards bleeping. Beautiful woman rescued from nefarious villain. Is the translation software working with our charming guest? Saffron: Beautiful and charming, huh? Don’t you have excellent taste! Captain Adam: It seems to be functioning correctly. Detective Connis: But it’s not! Leckie says it’s not working at all. Our guest just did a swish thing, and then something glittery flew everywhere. Captain Adam: Unconventional I admit, but it seems to be effective. Detective Urswin: We may be communicating, but well, we are not communicating. Captain Adam: Nonsense! Let’s just start with the basics. My name is Captain Adam Bradimov. What, may I ask, is your surely lovely name? Saffron: You may certainly ask! My surely lovely name is Saffron. Is there a Mrs. Captain? Saffron: Great! Hey, you look human. Do you know Tristan? Saffron: Yeah, Tristan. You know, Tristan? Loves knitwear. Usually covered in cat fur. Tall but in a short sort of way. You know, like how some people are short, but in a very tall sort of way? He’s like that, but the opposite. Captain Adam: I don’t believe I know of anyone matching that description. Saffron: Figures. I don’t think he gets out much. So are you going to introduce me to the rest of your crew, Captain? Captain Adam: Uh, yes. Of course. Detectives? Detective Urswin: I am Detective Urswin. This is my colleague, Detective Connis. Detective Urswin: We are currently aboard our lieutenant, the LK701. Saffron: You're on your boss? Leckie: You may call me Leckie. Welcome guest, I will strive to accommodate your every need. Saffron: Cool. It’s nice to meet you, ladies. Detective Connis: Look, I don’t mean to be rude, but… what are you? Saffron: I’m a fairy, duh. Can’t you see the pointy ears, the wings, the dazzling green eyes? That last part has nothing to do with being a fairy, I just wanted to draw your attention to them. Don’t you think they’re lovely, Captain? Saffron: Of course, you do. So what are you guys? Connis, you kind of look like some kind of elf with anemia, and Urswin, I wanna sayyyy…. spider-troll? Saffron: And why are the stars here ignoring me? How far away did I wind up exactly? How can I get cell service? Can I have your wifi password? Saffron: You have a talking computer boss. You have to have wifi. Captain, tell me you have wifi. Saffron: Oh Mab, no internet? I’m not going to make it! Detective Urswin: Guest Saffron, you use such unusual words. Can you tell us where you’re from? Saffron: Originally I mean, I left home when I got accepted into the Academy, and I boarded there for a few years. Then after I graduated (top of my class by the way), I got an apartment near The Good Company. Detective Urswin: Er, which planet is all this on? Saffron: Planet? Ohhhh, I’m in space! I thought I was in some sort of funky planetarium or whatever. Detective Connis: State your Planet of Origin, Guest! Detective Urswin: Guest Saffron, everybody calls their planet “the earth” or “the world”, yes? Except perhaps ocean planets, who call their planet “the water”. Can you please get more specific as to your planet’s name? Saffron: Everybody just calls it Earth, but maybe you aliens call it something else. Detective Connis: Can’t you think of any helpful clues? Saffron: Hmm…. Oh, I have a idea! Captain, you’re human. We have a lot of humans on our planet. What do they call your planet? Captain Adam: (offended) I beg your pardon? Detective Connis: Humans are from a lot of planets! You can’t just assume that all humans are from the same planet! Saffron: *scoffs* There’s a Peri in every outfit. Captain Adam: Let’s try another track. How did you get here? Saffron: Ugh, where do I even start? Some goblin hooligans stole my wings. Not my real wings, my word wings. And a bunch of my friends’ words too. And they stole dragon eggs from a hard working single mother who’s just trying to do right by her kids. Then they used our stolen words to make a portal. I tracked them down just after they opened it, and I saw them talking to this big ugly guy. And I’m talking ugly. He had this big bushy beard and it looked like he had fireflies stuck in it or something. Anyway, so I see him take the dragon eggs and I do what any self-respecting godparent would do in this situation. I rush in and I’m about to tackle this creep to the ground, but then the goblins slam the portal shut after me! I turn around for just half sec, and Ugly zaps me with some sort of laser gun! It really hurt, too! Knocked the wind right out of me. When I blinked away the flashing pixies dancing in front of my eyes, he was gone. I try to teleport back with my own magic, but I can’t. Then you guys came running along spewing gibberish and, well, you know the rest. Detective Connis: I - I only understood some of those words. Are you saying you survived X106’s lethal laser pistols? Saffron: Pssshhht. It’s going to take more than a fancy sparkler to get me down. Does Ugly have a name? Detective Connis: He’s called Subject X106. Saffron: Eh, nevermind. I’ll come up with a good name later. Detective Urswin: I understood the word “portal”. I thought the science was not yet perfected? Captain Adam: What’s may-gic? Is it a branch of mathematics? Captain Adam , Detective Connis , and Detective Urswin : (panicked) AAAH! Saffron: What? I just made myself a sandwich. Detective Connis: You… you just materialized that out of nowhere. Saffron: (mouth full) Uh huh. Want one? Here. Captain Adam: (More panic) Great Galaxies! Detective Urswin: (More panic) Stars Above! Detective Connis: (More panic) What just happened!? Captain Adam: What is that?? Saffron: Just some tablecloth and extra place settings. You guys seriously need to chill. Detective Connis: You.. you just tore the very fabric of the universe and rearranged it to your own will. You broke fundamental laws of physics. You- You manipulated reality like it was nothing! Captain Urswin: (breathless) Guest Saffron. I no longer think you are from a different planet! I think you are from another dimension. Does that sound right to you? Saffron: Hmm… That would explain why I can’t just magic back to Peri’s office. And why thegoblins needed such complicated ingredients. So am I, like, in some kind of sci-fi world? Saffron: Not to worry! I’ve watched every single episode of Star Crossers! I know every sci-fi cliche, gimmick and trope in the book! Speaking of which, you gotta get me internet so I can stream the next episode. For research purposes. Captain Adam: (to himself) Okay, deep breath… calm down. *exhales* (to Saffron, calm again) Guest Saffron, we need to get back to our interrogation. The “big ugly” who zapped you, Subject X106, is one of the most wanted criminals in all the seven galaxies. His ship has terrorized hundreds of worlds. He’s robbed, pillaged and ransacked countless capitals. Those laser pistols have claimed more lives than we can ever know. It’s imperative that you give us any information you can. Saffron: I got it! Starbeard! Saffron: He’s like this space pirate, right? And he’s got this sparkly beard, right? Starbeard! Detective Connis: He’s officially listed as criminal X106. Detective Urswin: Er, Captain, all our records now refer to the criminal as “Starbeard”. Detective Connis: What the-? Even the records at Central Command list him as Starbeard! Captain Adam: I… I… Central Command, yes. Leckie. Please contact Central Command. Captain Adam: Leckie? Lieutenant? Report! Detective Urswin: Leckie, can you hear us? Peri: (unclear then evens out) Hello? Is this thing working? Captain Adam: Emergency stations people, our lieutenant’s been hacked! Saffron: Peri, is that you? Captain Adam: Unhand Leckie, you hacker! Peri: No no, I never hack! Unless it’s ethical hacking for a penetration test. Anyway, Leckie is fine, see? Leckie: Apologies for the delay in my response, Captain. This is Peri. She is from Saffron’s dimension. She has contacted me, and I’ve been preoccupied with the task of patching her through to my speakers. Peri: Oh, it’s no big deal. I used a pretty standard protocol that let the various electronic devices that I use on a daily basis send packets full of character references of myself to your computer, Leckie. The references were glowing (thanks guys, you’re the best) so then Leckie said it said it was okay to talk and we constructed a secure interdimensional VPN tunnel from my office to your ship. 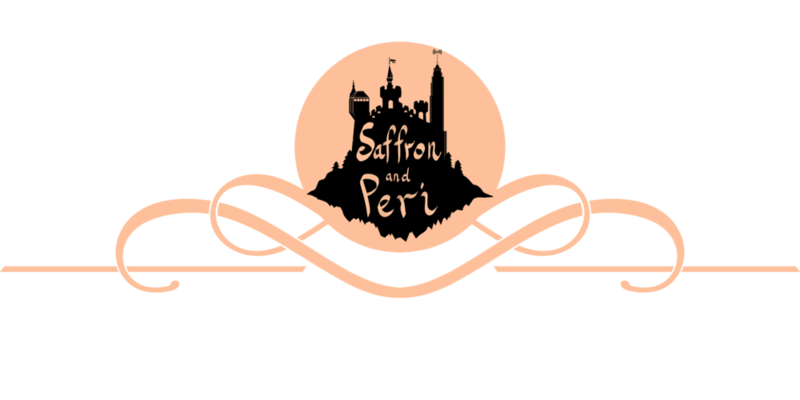 Saffron: Peri, you wonderful fiery angel! How did you even find me? Saffron: No, you may not. The professionals are talking. So because of Tristan’s bleeding heart and your wishy washiness, you’re stuck babysitting dragon-knapping goblins all day? Peri: Look, I’m not just doing it because they looked at me with those weirdly adorable buggy eyes. They have skills and information we need! They’re also good at getting me coffee. Scoodie: We help find pretty fairy! Smock: And we do fixits! Peri: *slight baby talk* That’s right, you do, you little rascals! * They’re really quick learners, Saffron. Peri: Come on, Saffron, you know how I’ve always said I need assistants. Now that Professor Holle forced me into expanding the services of the Magic Support Department, I need them more than ever. Satchet: Job security here is better than kid-napp-a-ring. Peri: Saffron, wait. Hear me out. I have an audio connection with you, so we can get your wings now. And Themis, Cassie and I are willing to lend the goblins our words for a while. They can open the portal and get you home. Saffron: Oh no! I’m not going anywhere until I get those dragon eggs back. Peri: That’s my Saffron! The goblins and I have been working out a tracking spell. We got some of Mrs. Scorchington’s scales so we have a tether. Leckie, do you mind? Leckie: Displaying route to coordinates. Saffron: Captain, get this ship turned around and follow those glowing blue lines! Saffron: Turn this space boat around NOW. Leckie: Captain, we do have the authority to leave our jurisdiction if we are pursuing a crime that happened in our sector. I have taken the liberty of alerting Central Command. They have already dispatched replacements to patrol this sector in our absence. Saffron: Woohoo! Saffron and her intrepid crew are going on an intergalactic quest to defeat evil space pirates and rescue dragon eggs! Captain Adam: Don’t say it. Captain Adam: Don’t say it, Leckie. Please, just don’t say it! Leckie: Special Agent Katticus Attison. Detective Connis: (with Detective Urswin) Special Agent Attison? Detective Urswin: (with Detective Connis ) In our ship? Captain Adam: I asked you not to say it Leckie. Saffron: Leckie, can I go now? Leckie: Guest Saffron, it would be best to sit through this short cultural sensitivity training before interacting more with the crew. Saffron: But I’ve been listening to this slimeball yammer on for 20 minutes now! Leckie: Congratulations Guest Saffron, you have used the correct mode of address when speaking to a Glimkraw of the instructor class.You may now consider your training completed.